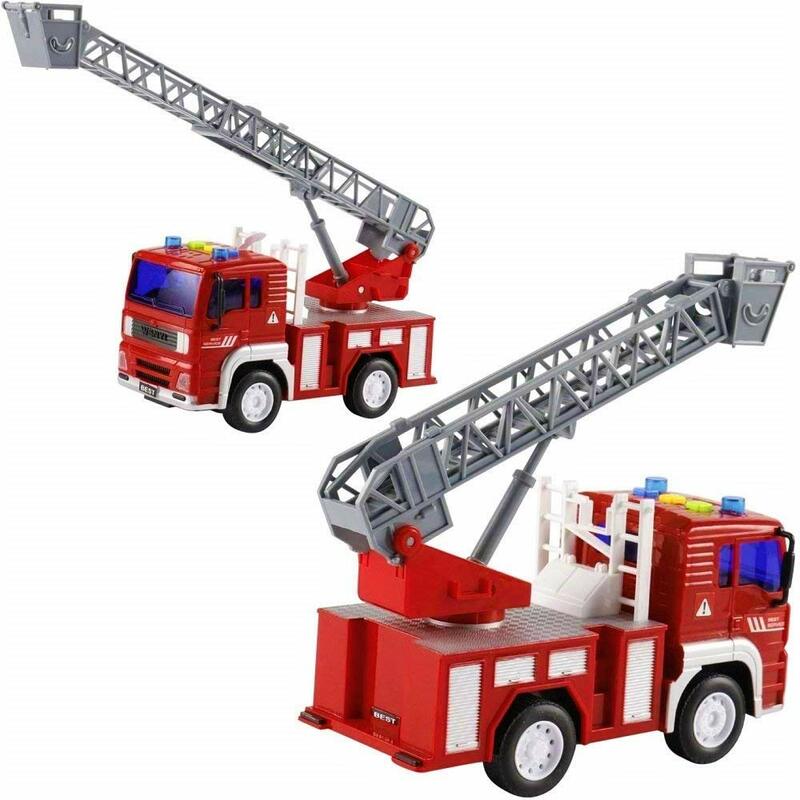 ✔ JUST LIKE THE REAL THING – This mini fire truck toys with lights and siren features flashing lights, 3 different sound effects, and an extendable ladder. Perfect for Toddlers and little kids to imagine themselves at the rescue saving the day. FREE Bonus: 5 Toy Figures Included! ✔ READY TO SAVE THE DAY – The fire truck will come to your rescue, keeping children entertained for hours on end! ✔ POWERFUL PUSH & GO FEATURE – Friction truck glides quickly and evenly over hard surfaces to delight kids; Teaches cause and effect as children will learn that by pushing they can make the fire engine roll. Oh no! A fire has broken out across town. There is smoke everywhere. People and pets need to be rescued. Who will save the day?! Not to worry! 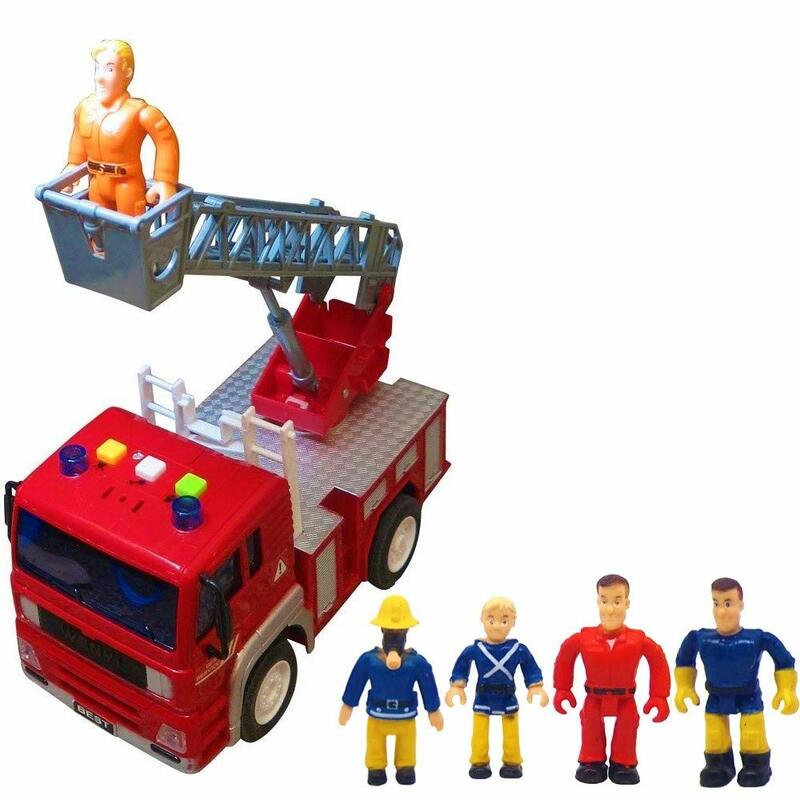 Your child and these five new little hero friends are at the ready to roll into action, put the fire out and help everyone escape safely with the ‘FUNERICA’ Firetruck Toy! The FUNERICA Mini Fire Truck Toy is here to save the day and get your kids away from the television and video games to engage in hours of fun, educational creative play. 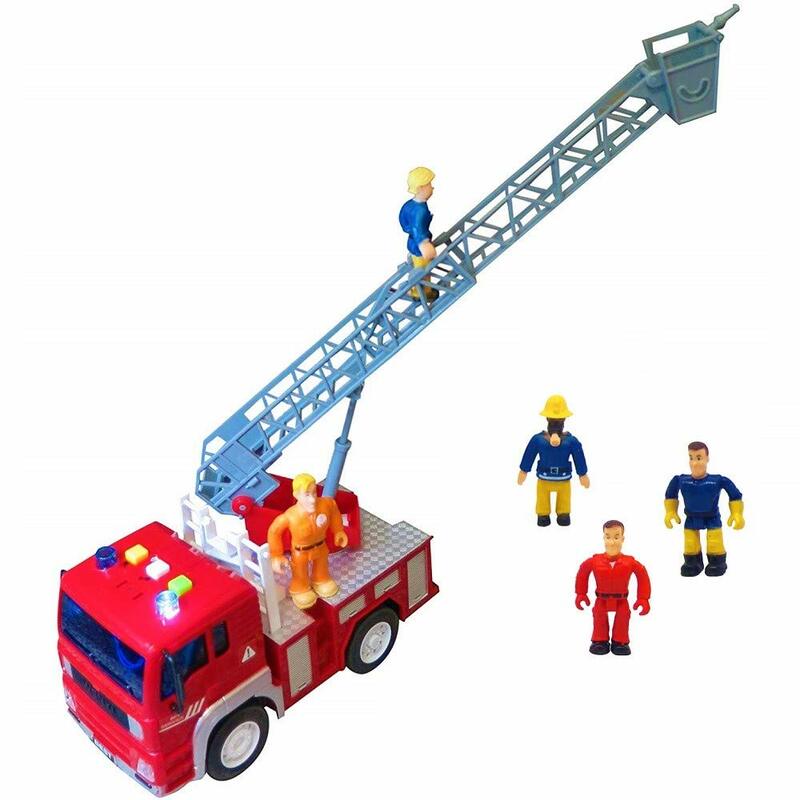 And the 5 bonus fireman figures adds to the fun! They’ll love to line up the toy figurines at the toy truck. With a unique friction design, the ‘FUNERICA’ Firetruck Toy speeds across flat surfaces with just a push. Kids will love watching the fire truck roll into action and will learn about cause and effect from the feature. When they push the three buttons on the top, they’ll hear different realistic sounds, and the pair of lights will flash just like the ones on a real fire truck. Perfect for homes, schools and day care centers alike, the ‘FUNERICA’ Fire Engine Toy is durable, safe and plenty of fun. 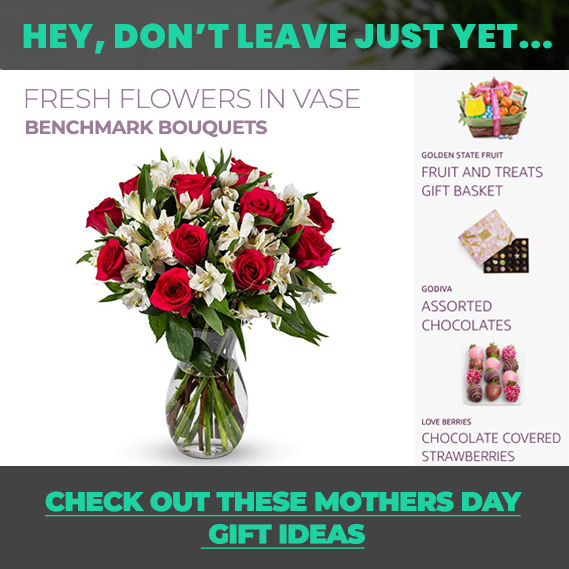 It’s the perfect gift for boys and girls for all occasions! Entertaining – hours of amusement with this activity Truck! Imaginative – captivating your child’s imagination, enhancing their creativity and skills. Save the day by giving your child a toy that he or she will truly adore! 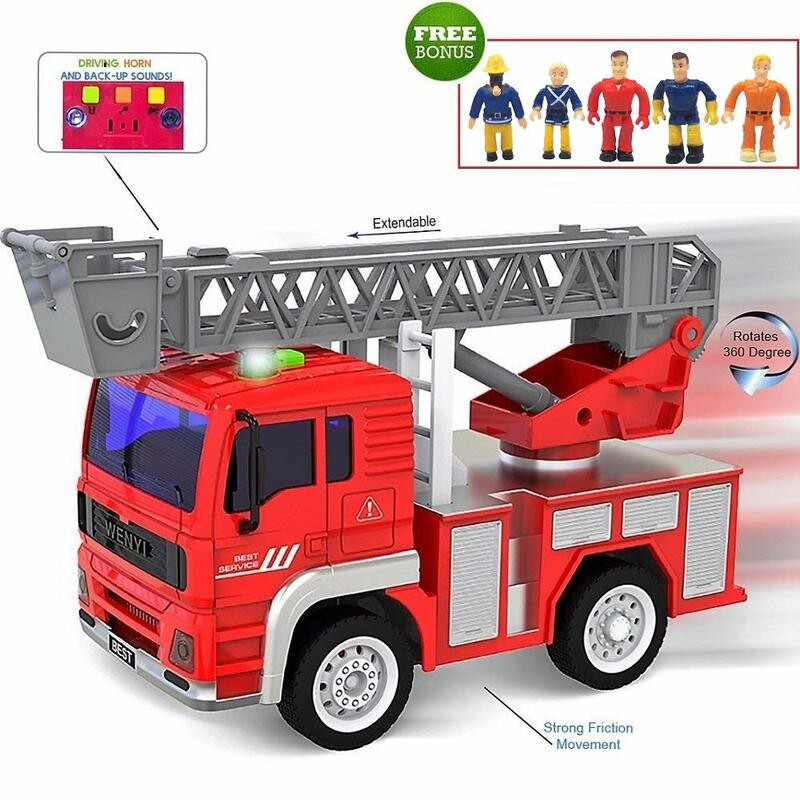 Make your little one a hero with the ‘FUNERICA’ Fire Truck Toy. Scroll up to Add one to your cart now. ✔ SAFE MATERIAL FOR KIDS – ‘FUNERICA™ products were extensively tested and Meet the US and UK Safety standards for Toys. 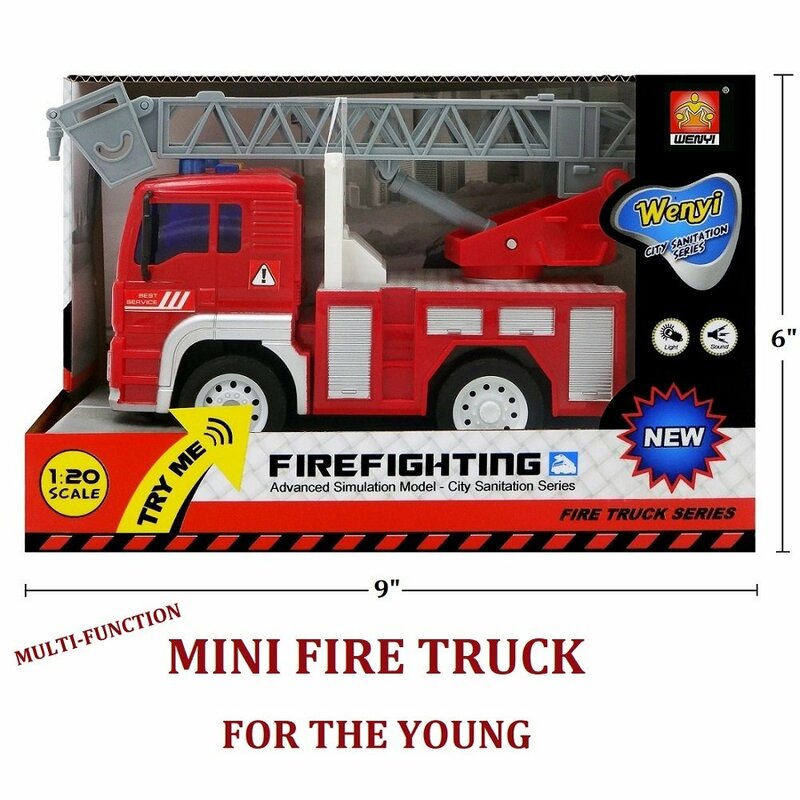 ✔ SATISFACTION GUARANTEED – Children will love playing with this Fire Truck toy and grown-ups are sure to be impressed with the super powerful push and go!